Xiaomi Redmi Note 6 Pro has a slightly larger 6.26-inches display, compared to a 5.99-inches screen on the previous phone. The Redmi Note 6 Pro sports a notch on top of the display with a screen aspect ratio of 19:9, while the older Redmi Note 5 Pro gets a notchless display with 18:9 ratio. Xiaomi Redmi Note 6 Pro comes with dual 20MP+20MP cameras on the front, instead of 20MP single camera on Redmi Note 5 Pro. The back camera is the same 12MP+5MP, but the sensors have changed. Xiaomi Redmi Note 6 Pro has a superior Dual Pixel Autofocus technology as well as a bigger 1.4um pixel sensor and improved f/1.9 aperture. 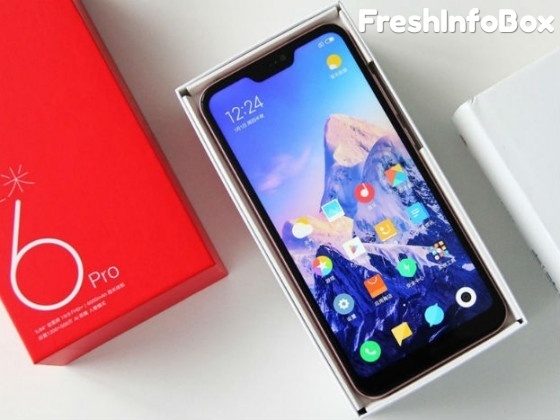 Xiaomi Redmi Note 6 Pro is powered by the same Snapdragon 636 processor that we saw on its predecessor. The phone could launch in 4GB/6GB RAM and 64GB storage options, same as Redmi Note 5 Pro. Redmi Note 6 Pro runs MIUI 10 Global ROM, which is based on Android Oreo. It is also backed by a 4000 mAh battery like the previous variant with support for Qualcomm’s QuickCharge 3.0 technology. Prasar bharti invited bucket r1 channels on DD free dish.